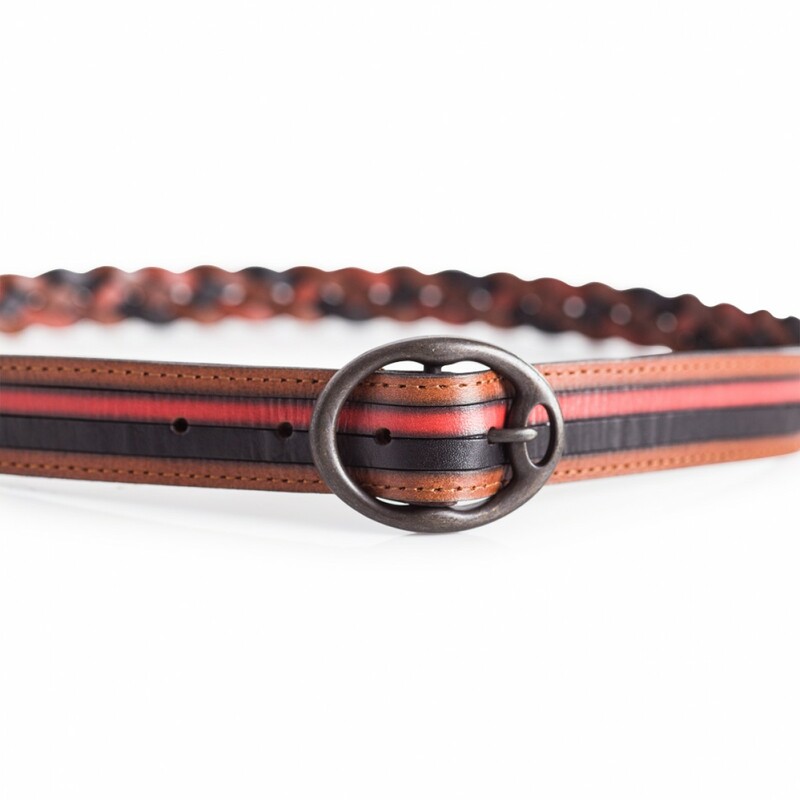 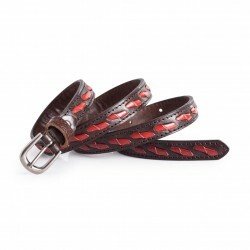 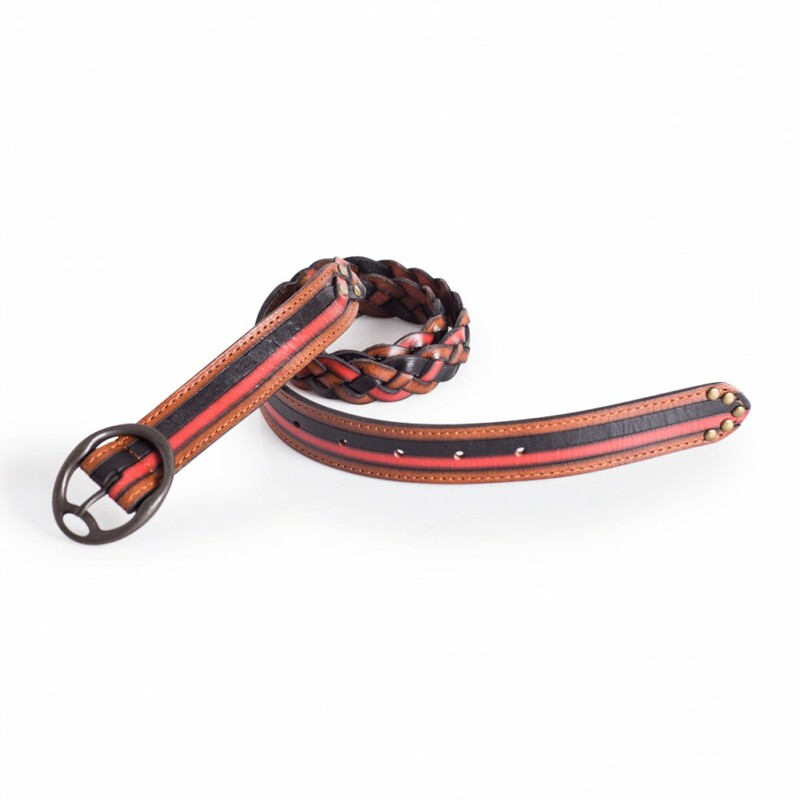 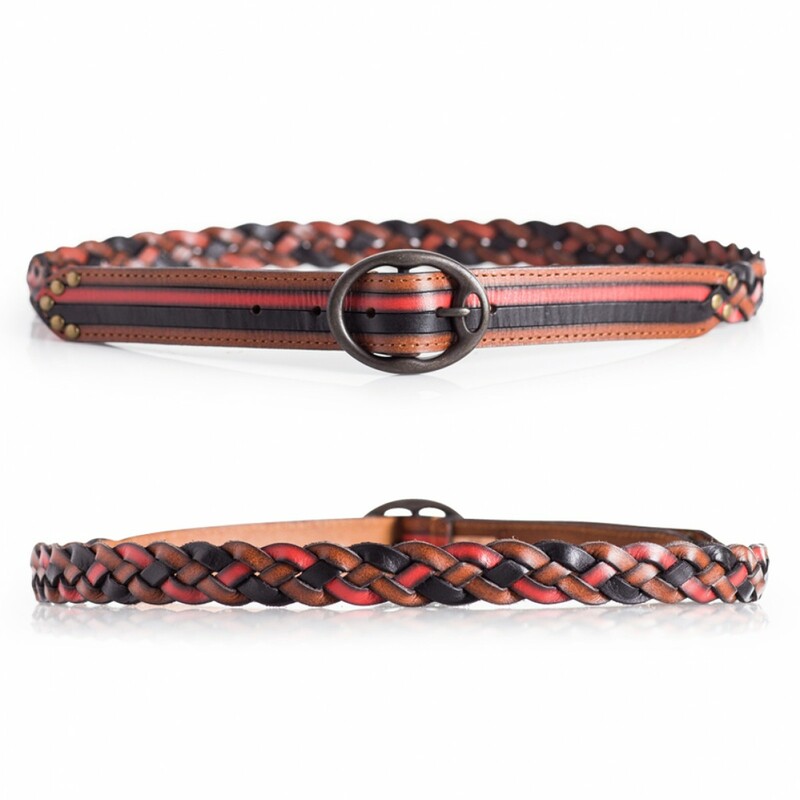 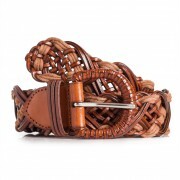 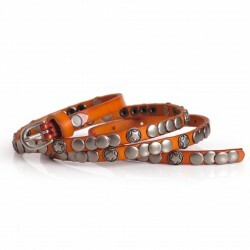 Ladies braided jeans belt multicolor in black, brown, and red. 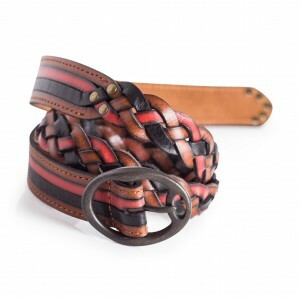 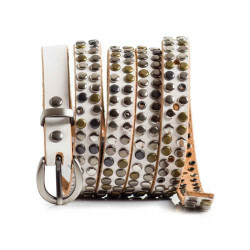 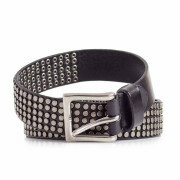 Stylish modern design with braided back, stripes front, and vintage single prong buckle. 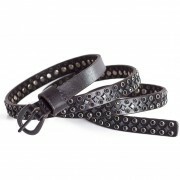 Care instructions: No soaking. 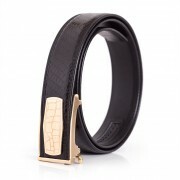 Wipe with damp cloth. 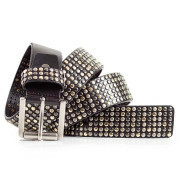 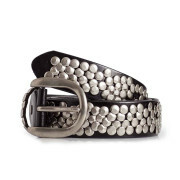 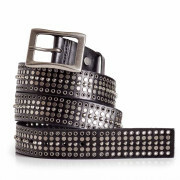 Ladies skinny belt with studs.Add a bit of shine to your outfit with this cute and versatile leather..
Ladies belt with conchos. 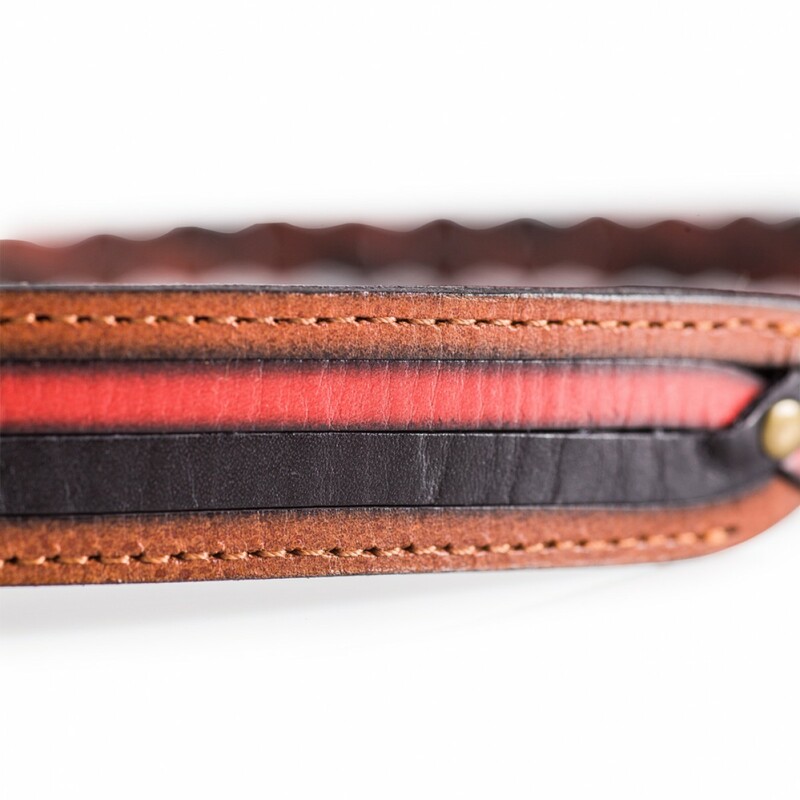 Skinny width.Real leather. 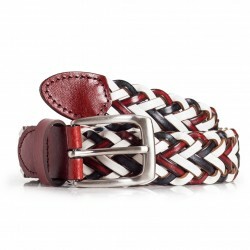 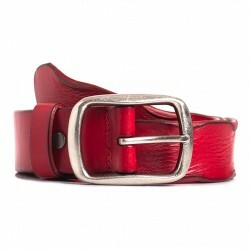 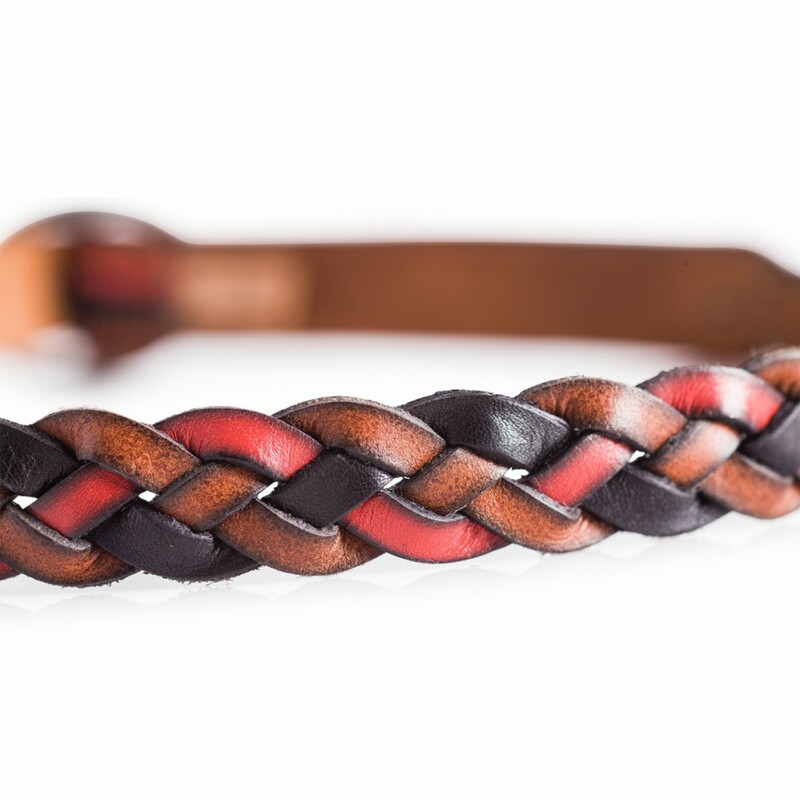 Available in black or rust.Material: 100% Real ..
Women's braided leather belt in red, blue, and white.No holes. 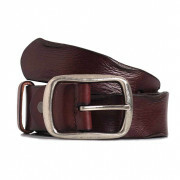 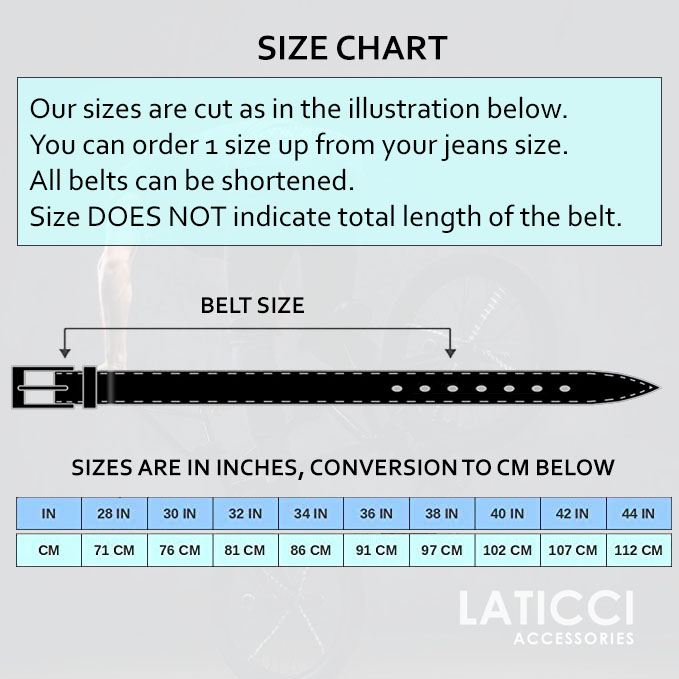 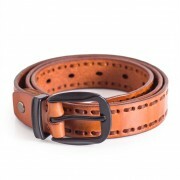 Fits waist sizes: 28-35inWidth: 1.2in..
Casual leather belt with leather stitching detail.Color: Cognac.Material: 100% natural full grain ca.. Stylish skinny jeans belt in brown with red braided detail going along the middle.Silver color singl..